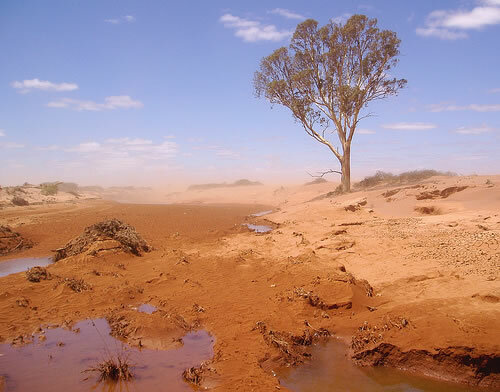 The climate in southwestern Australia has been drying for more than 40 years. Residents there are bracing for a continuing drier and warmer trend, according to scientists at the Curtin University Institute for Biodiversity and Climate in Australia. Scientists at that institute have been working on a method to identify potential refugia – that is, areas in which a population of organisms can survive through a period of unfavorable conditions – as rainfall continues to decline in southwestern Australia. 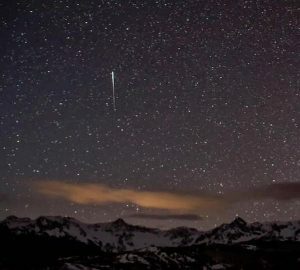 They say their newest results – which involved the use of Light Detection And Ranging (LiDAR) instruments – are encouraging. The journal PLOS One published the work in early January 2014. Grant Wardell-Johnson and Gunnar Keppel, along with former Curtin scientist Tom Schut (now at Wageningen University in the Netherlands) were able to translate a traditional plot observation to an entire landscape. The key, the team said, was finding a strong relationship between three things: vegetation types in southwestern Australa, soil depth and rainfall. They say their finding means they can now compare current climate and future climates under a continuing trend of reduced rainfall in the region. In turn, Wardell-Johnson said, this comparison will let them apply expected future changes in rainfall to landscape-scale vegetation and, thereby, find potential sites where populations of organisms could survive. Global warming is a particular issue in Mediterranean-climate regions. It is especially so in the flat landscapes of south-western Australia – home to a global biodiversity hotspot. Understanding where refugia will be is of particular importance in light of human-caused global warming, to offer the best chances for our precious flora and fauna in times of transformative change. Bottom line: Australian scientists are making headway in learning how to predict future safe havens for biodiversity, as climate changes. In particular, they are looking at a technique that will let them apply expected future expected changes in rainfall to landscape-scale vegetation and, thereby, find potential sites where populations of organisms can survive.